What Will Dictate the Future of OTT? To stream or not to stream? That’s not even the question anymore. Everybody’s doing it—and they’re doing it across a variety of platforms. There are currently five main types of devices for streaming over-the-top to a TV screen: streaming boxes/sticks, smart TVs, game consoles, internet-enabled DVR / set-top boxes and internet-enabled Blu-ray players. At first glance, it would look as though there’s a healthy distribution of platforms being used for OTT viewing. And within each platform there are several fighting for market share. For example, the Smart TV category is currently being dominated by Samsung (33%) and Vizio (30%) with other manufactures splitting the remaining market share. But why is the OTT device market so diverse? Apart from Streaming Boxes/Sticks, many of these devices added the OTT streaming capability to their primary device functionality. As users move from one room to another in their home, it became a matter of convenience as to which device could start streaming Netflix ASAP—the fact that it is a game console or DVR is secondary to the fact that it enables the desired viewing. 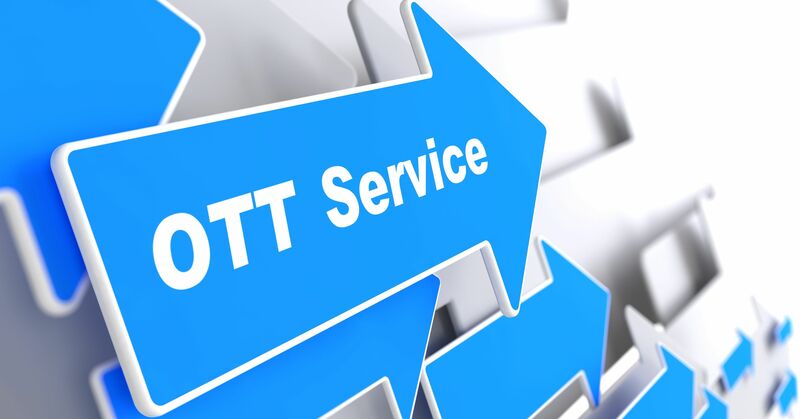 As the OTT market begins to mature and users begin streaming content across different OTT apps, the user experience will become more important. As consumers become more OTT-dependent in their viewing, the user experience becomes increasingly important to them. Ans since streaming boxes/sticks are designed for the singular purpose of streaming OTT, this market segment could become the battleground for UX supremacy. Currently, the battle for market share in the dedicated streaming box/stick category has Roku leading with (49%) market share followed by Amazon FireTV (16%), Chromecast (22%) and AppleTV with (12%). If a consistent UX becomes more important in OTT streaming, does that mean that the platform on streaming devices will eventually determine the biggest players in the market? Or will all the current players still be fighting for market share? It will be interesting to see how it plays out.